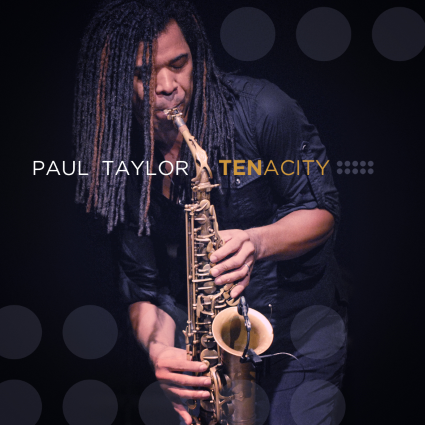 If ever there were a most appropriate title for Paul Taylor’s latest album, “Tenacity” wins hands down. Nineteen years in the music business and counting, he shows no signs of slowing down. In the past few years, Paul has had a #1 on the Billboard Contemporary Jazz charts, #1 on the airplay charts, and a Top Ten album on the Billboard Jazz Albums charts. It is no surprise that he continues to be successful. He’s mastered the balancing act of maintaining a solo career and being a member of several projects over the years. Taylor lends his talents to Keiko Matsui’s band, The Rippingtons, Groovin For Grover, Gentlemen of the Night, and Sax and the City. I told him he must be a “superhero.” Paul attributes his success to tenacity, making the title “Tenacity” not one difficult to come up with. He joined forces with his longtime friend and colleague Don Espisito when he embarked upon the making of his 10th album to be released on March 18th. He invited some of jazz’s favorites to collaborate with him on “Tenacity.” Johnathan Fritzen plays on the funky opening song “Supernova” while Jeff Lorber adds his touch to the smooth tune “Luxe,” and Paul Hardcastle ignites the fun “Peace of Mind.” The final song on the album is significantly titled “Empire” because it symbolizes Paul reflecting on all that he has accomplished. Listen as he shares the story with me.